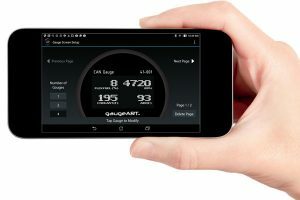 The gaugeART CAN Gauge is an innovative compact OLED gauge for displaying real-time data from your engine management system. 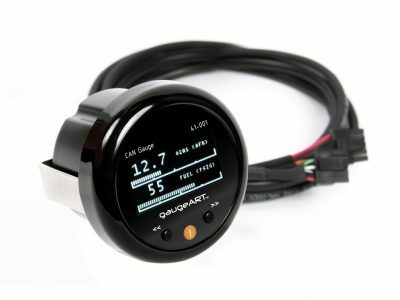 Supported parameters such as boost pressure, air/fuel ratio, coolant temperature, fuel pressure, ethanol content, etc. can be displayed without additional sensors. 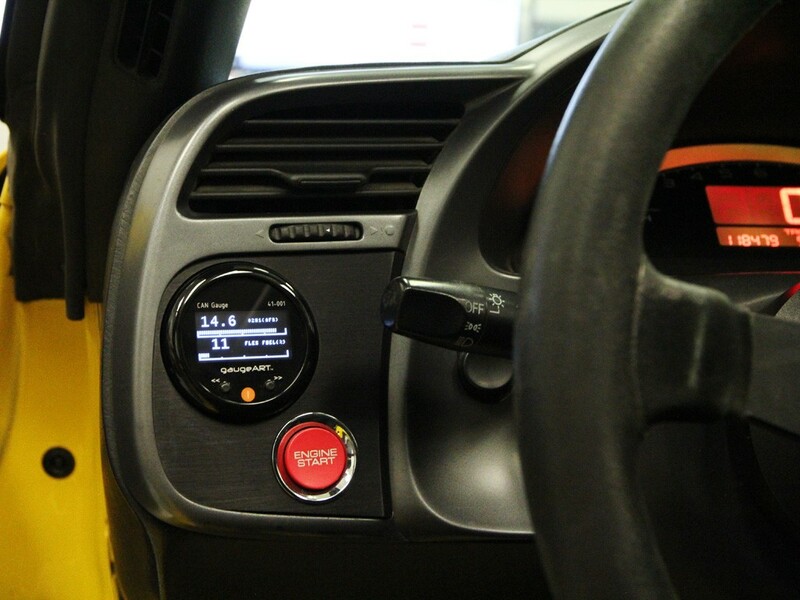 Set trigger points such as maximum coolant temperature to warn the driver when the engine is overheating. 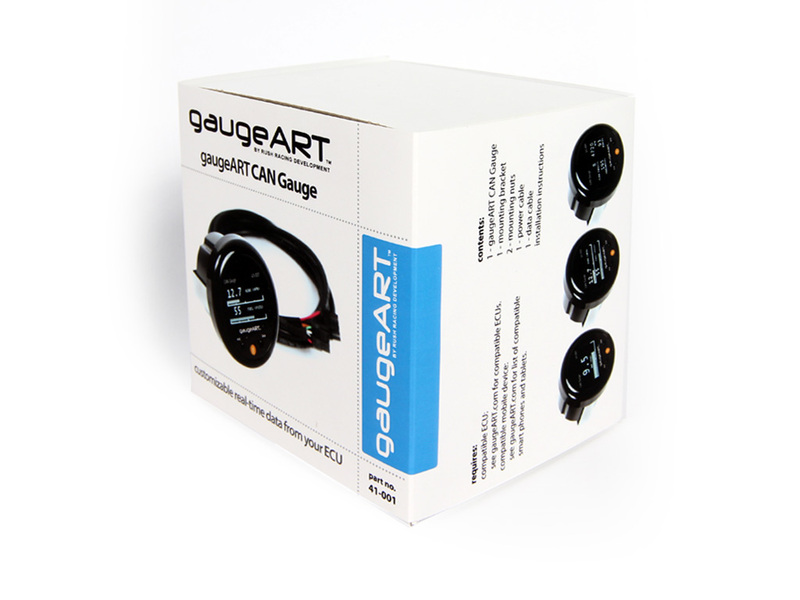 The gaugeART CAN Gauge is compatible with popular aftermarket engine control units (click to see the list) as well as with factory ECUs that have CAN communication in the OBD port using the gaugeART CAN OBD Link. The high contrast OLED display is bright for interior use and dims at night. Configure 1, 2, or 4 gauge layouts on up to 10 different pages. 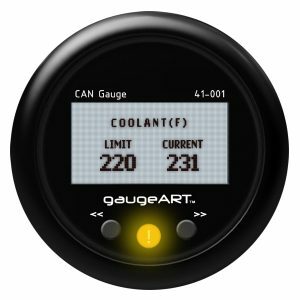 Create customizable warning points, such as the coolant temperature being too high, which trigger a special warning screen and bright LED on the face of the gauge. Easily customize your gaugeART CAN Gauge to display the data you want to see with the included gaugeART CAN Gauge App (compatible with Android 4.4 or later and Apple iOS). 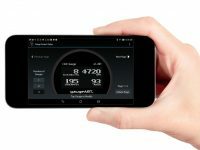 The easy to use app works with your smartphone or tablet to wirelessly customize your gauge in minutes and is a lot easier than trying to configure your gauge with only buttons on the front! Check out this video to see how easy the configuration process is! standard cable: the standard cable is 5′ long and includes two shielded pair wires (power, ground, CAN H, and CAN L) and one wire for illumination control. 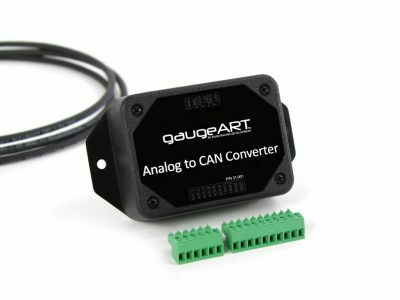 It is meant for ECUs or ECU harnesses with out specific CAN connectors – or for you to install your ECU’s CAN connector to. 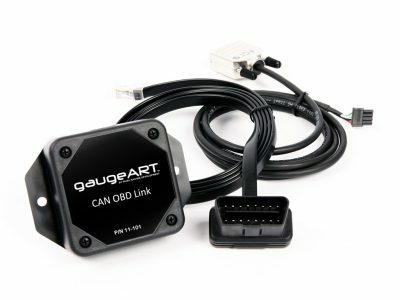 ECU specific cables: for ECUs or ECU harnesses that have specific CAN connectors, these 5′ long cables have ECU specific connectors pre-installed. Currently available for AEMNet (some AEM Infinity harnesses) and ProEFI. 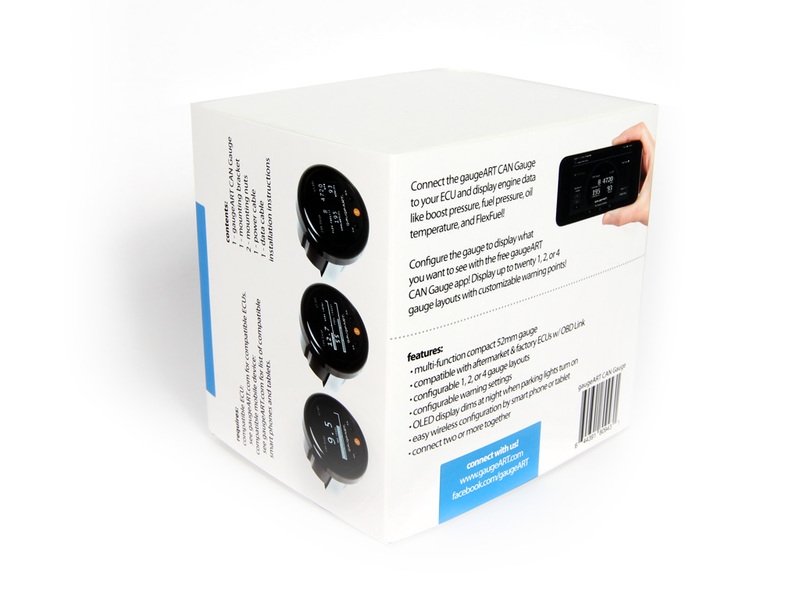 Verify with your ECU harness supplier which CAN connector is installed on your harness before purchasing. extension cable: if your ECU is more than 5′ away from where your gauge will be mounted – an optional 5′ extension cable (total distance 10′) is available. daisy chain cable: if you will be using more than one gaugeART CAN Gauge – an optional 6″ daisy chain cable will link the two gauges together.